Dale Powers submitted these photos taken by the late Ed Ferguson. 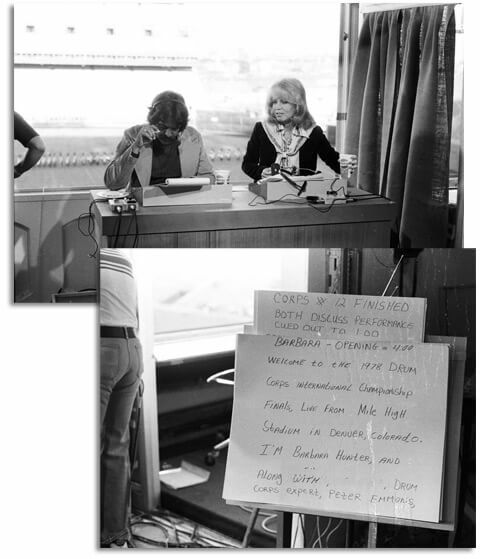 This photo is of DCI Hall of Fame member Pete Emmons as he prepared for the 1978 World Championships television broadcast with Barbara Hunter. The second shot is of Hunter's cue card from that segment.